Want to kick things up a notch in your home or office? 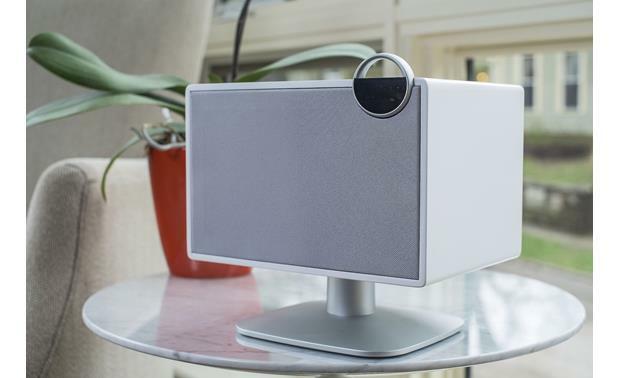 The Jamo DS6 wireless speaker and radio could be just the thing. Want to kick things up a notch in your home or office? 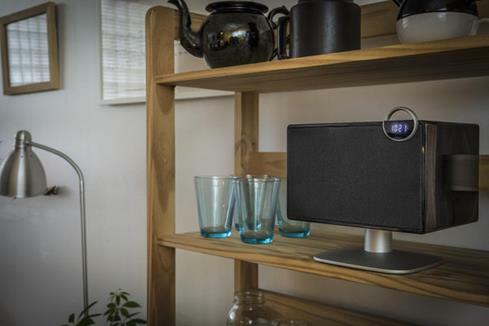 The Jamo DS6 wireless speaker and radio could be just the thing. 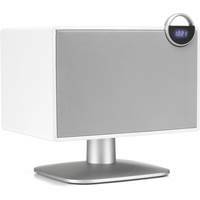 This powered Bluetooth speaker features a minimalist Scandinavian style with a painted wood enclosure and metal pedestal. The DS6's built-in USB charger can keep your smartphone or tablet going — and streaming music — all day long. The built-in FM tuner offers more listening options. Room-Filling Acoustics: The Jamo DS6 wireless Bluetooth speaker delivers an incredible acoustic performance. It utilizes a 1" fabric soft-dome tweeter, a 3.5" paper woofer with rubber surround, and a rear-firing bass port for a frequency response of 55-18kHz. The drivers are powered by a built-in 18W x 2ch amplifier for room-filling sound. 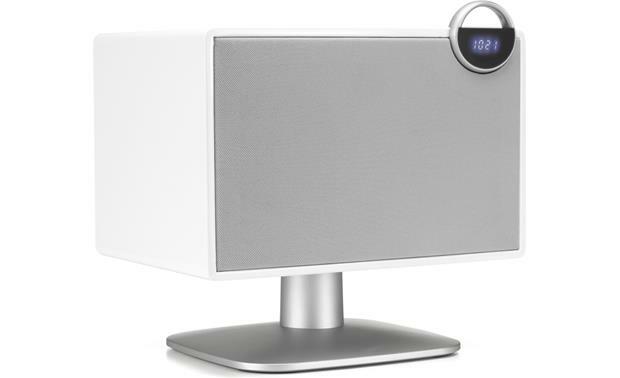 Bluetooth Audio Streaming: The DS6 speaker utilizes Bluetooth technology for wireless audio streaming from your smartphone, tablet, laptop, or desktop computer. 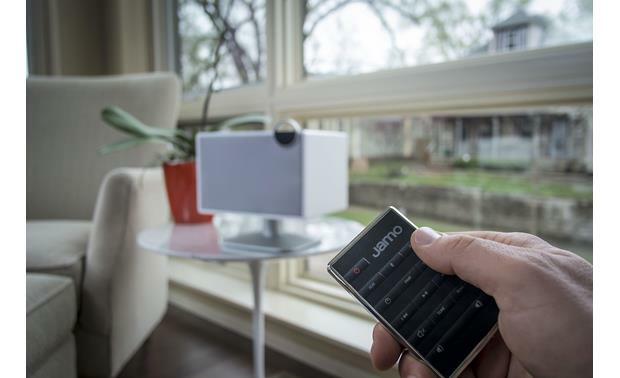 You'll be able to stream stored music, music apps, and other audio content from your Bluetooth source device to the Jamo DS6. You'll also be able to control volume, play/pause, and previous/next track functions from the included IR remote. Advanced music browsing and song/artist/album information still has to be done from your Bluetooth source device. You can pair multiple Bluetooth source devices, but only one can be connected at a time. Once paired, the DS6 will automatically re-connect with the last previously connected device when in wireless range. The DS6 does not support Bluetooth hands-free communication for phone calls. FM Radio: The built-in FM radio lets you tune into your favorite FM radio stations. It offers seek & preset tuning (you can store up to 5 FM station presets). 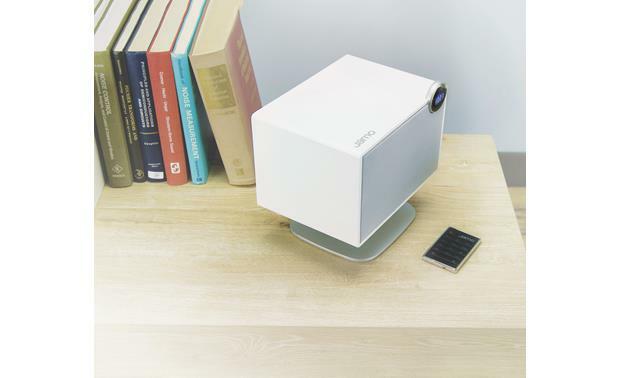 The speaker features an internal FM antenna and does not allow you to connect an external antenna. Note: The DS6 does not offer a built-in AM tuner. Aux Input: In addition to Bluetooth wireless connectivity, the DS6 is equipped with a rear-panel 3.5mm Aux input so you can connect the speaker system to your TV or other audio source with an analog or headphone output. 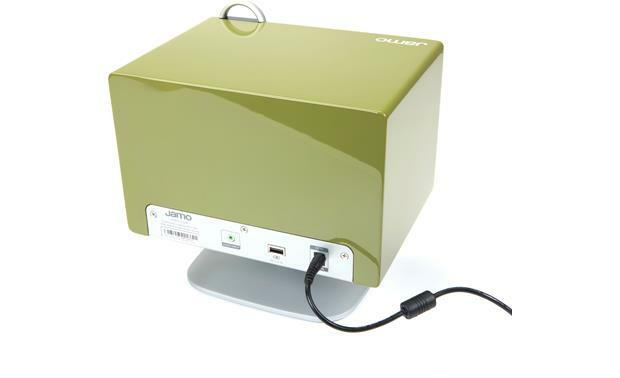 USB Charging Port: A rear-panel USB (type-A) port acts as a charging station for your electronic devices (like your smartphone or tablet). 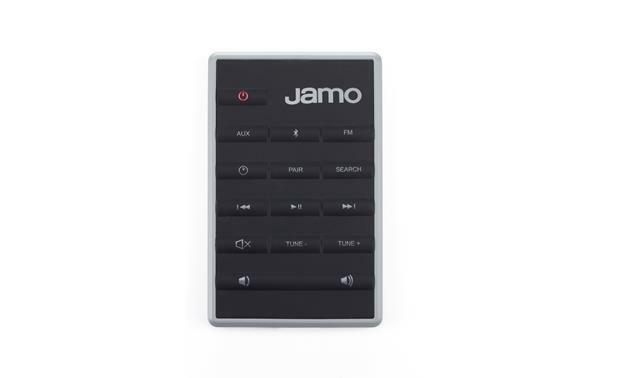 Remote Control: The included IR remote provides wireless operation of the Jamo DS6 speaker system. Control functions include Power, Source Selection (Aux/Bluetooth/FM), Volume/Mute, Clock Display, Bluetooth Pairing, Play/Pause, Previous/Next Track or Station, and Preset Up/Down. Note: The only controls on the speaker itself is a top-panel power button which is touch-sensitive. Digital Display w/ Clock: A vibrant, stylish digital display shows the time, source selection, and radio station. 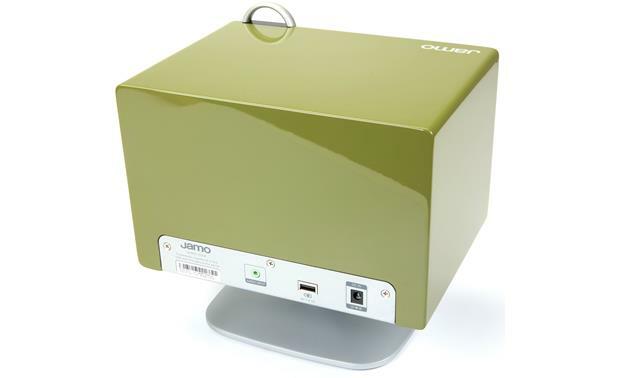 External AC Power Supply: The Jamo DS6 wireless Bluetooth speaker come with an external AC power supply (attached 6' cord) and detachable 5.5' AC power cord which will need to be plugged into an AC wall outlet or surge protector (sold separately).